Works have continued to progress in Stages 5 & 6 at The Green with Easter just around the corner. 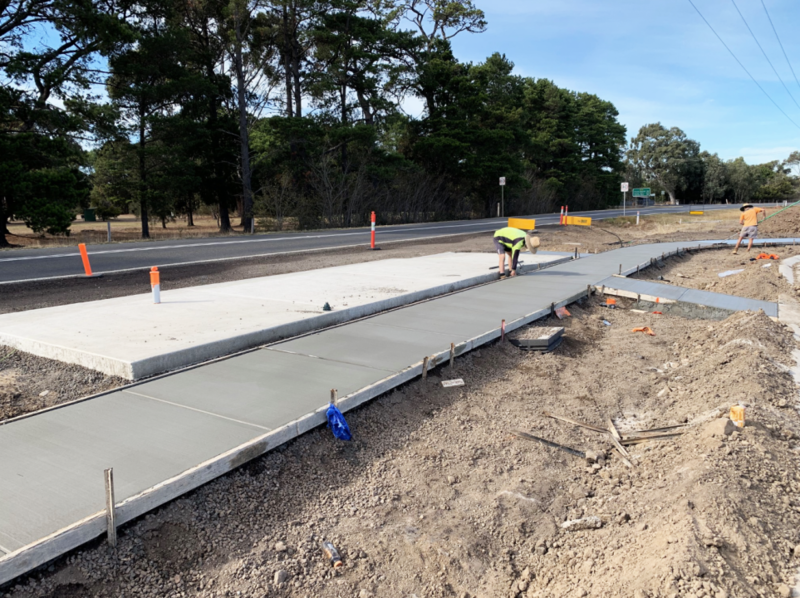 The bus stop on Anderson Road is now complete, with the footpath well underway. Road construction and sealing in Stages 5 & 6 is expected to be completed by the end of April, with final top soiling progressing well. We have tended out the street trees and are expecting tree planting to begin in mid-May. We are still receiving a lot of enquiries about our final land release (Stages 7 & 8), however we are currently still waiting on approval from council. As soon as we have further information all parties that have registered interest in stages 7&8 will be contacted. If you or anyone you know is interested in large, lifestyle allotments of approximately 2000sqm, contact The Green on 1300 THE GREEN to receive pre-release updates.